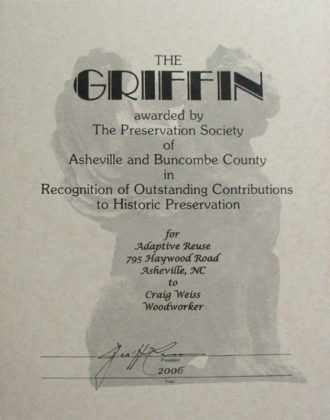 Here are some of the places our woodworking has been recognized. 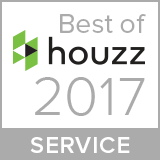 Our true dedication to our clients won the Customer Service category for the Best of Houzz 2017. We won this award from our positive reviews from users on Houzz, the leading web platform for home remodeling and design. 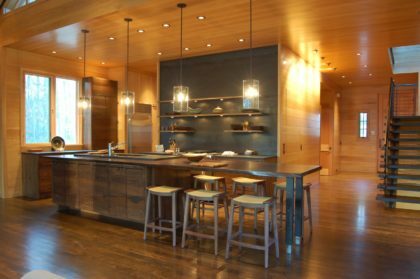 We created this kitchen’s modern, minimalist cabinetry which features rift-sawn oak and a gray wash stain. 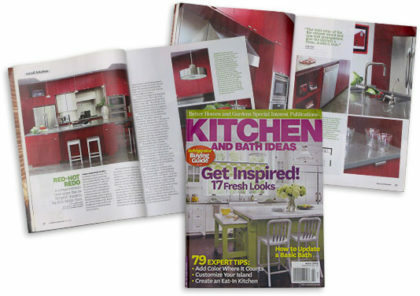 The Fore’s kitchen was featured in Kitchen and Bath Ideas. We built all of the cabinetry. 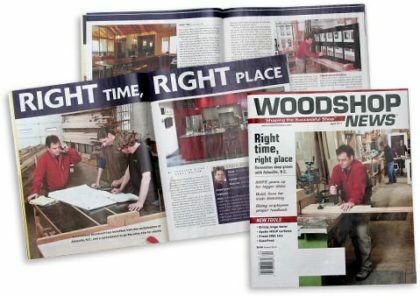 This magazine profiled how our shop has benefited from the revitalization of Asheville, N.C., our quality craftsmanship in both traditional and modern designs, and our commitment to our customers. Read the story at the Woodshop News Website. Architectural Woodcraft worked on many areas of this beautiful, modern home, designed by Carlton Architecture. We built the unique kitchen cabinetry using reclaimed wormy chestnut and wormy oak and a 15 foot walnut counter with a natural edge. We also built the large front windows, exterior doors and some custom furniture. This is really a special house. 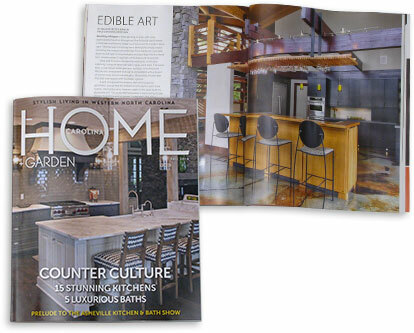 This magazine had a feature story about the Neathermead house, which we did a lot of work on, including the kitchen, doors, windows and some custom furniture. 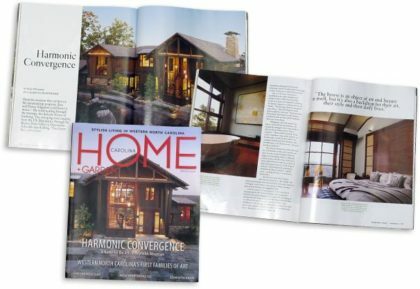 This magazine had a feature story about the Edgerton Residence on Reynolds Mountain that we did a lot of work on, including a wine bar and cellar, a workout room with many Japanese-style Shoji sliding doors, a billiards room, the front entrance and door. Carlton Architecture’s Chauncey Knoll home in The Ramble, Biltmore Forest won awards in the Best Master Bath and Best Kitchen categories from Professional Builder at the International Builders’ Show. 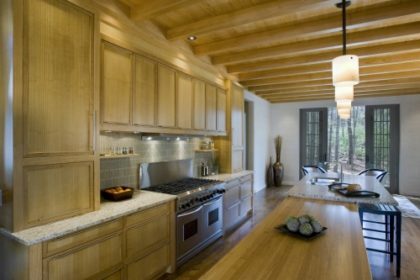 Architectural Woodcraft created the cabinetry for both the kitchen and bathroom. 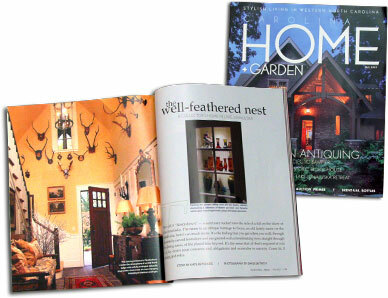 The opening spread of this article shows a beautiful entrance door we made. 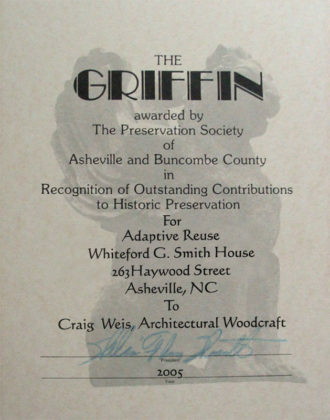 We won this award in the Adaptive Reuse category for our work on the Whitford G. Smith House at 263 Haywood St.
We won this historic renovation award for Adaptive Reuse of 795 Haywood Road. 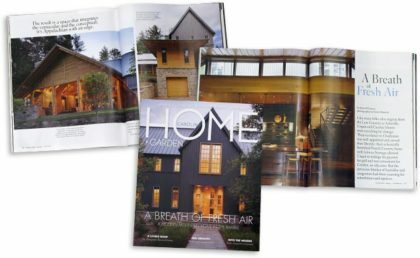 This magazine featured a story about the Wildcat Cliff residence, and showed the entryway, billiards room and library we built. If It’s Made of Wood, We Can Build It! 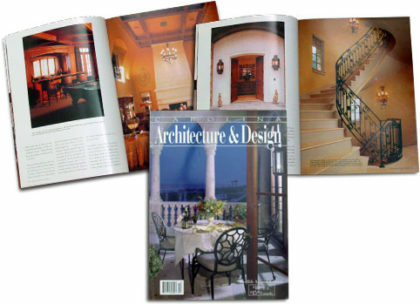 Whether it's something you design, we design, or even something you've seen in a magazine—we can build it for you. Call us at Phone: (828) 258-9977, or use the form below.